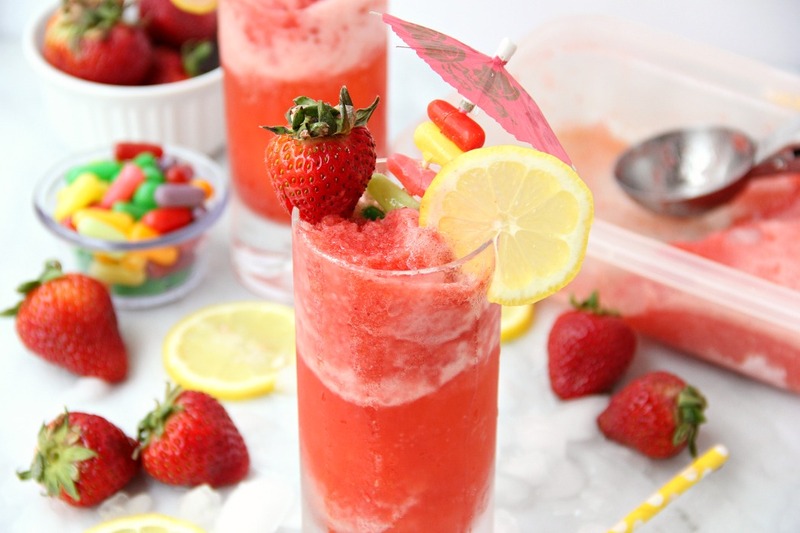 Pink Lemonade Slush – A sweet, tangy and refreshing drink perfect for family gatherings and celebrations. This is a sponsored post written by me on behalf of Mike and Ike’s. All opinions are 100% mine. 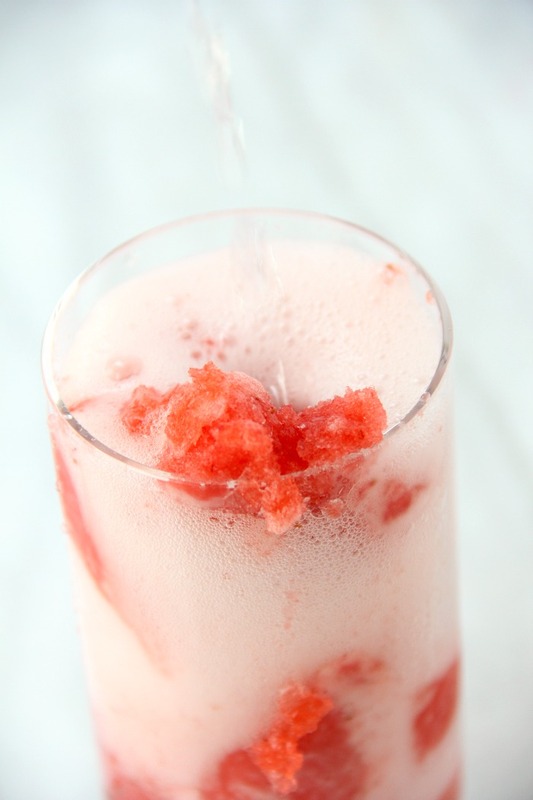 One of my absolute favorite drinks in the summer time is a delicious, frozen slush. I make a couple batches at a time so I always have extra at-the-ready in the freezer. That’s one of the best things about slush – you can make it ahead and scoop out as much as you need each time. Today, we’re making Pink Lemonade Slush. Just the name, itself, is enough to win me over. It’s sweet, tangy and stays ice cold until the last sip. I don’t know about you, but in the summer, I want my drinks COLD. There’s nothing better than drinking a fruity concoction out of a frosted glass. When it comes to slush, I’ve made cranberry and blue raspberry versions in the past. So far, all of the slush drinks I’ve made have been kid-approved. . .and that’s saying something ?. With that, let’s get started on this pink lemonade slush. 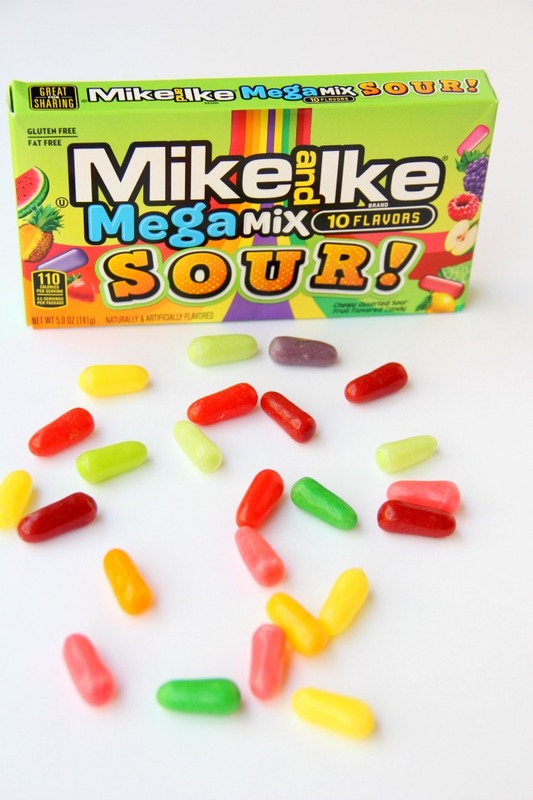 Grab your blender and and some MIKE AND IKE Mega Mix Sour candy, and let’s get this party started! This recipe makes enough slush for 8 12 ounce glasses. While you could probably try to blend the entire batch at once, I actually halve the recipe and blend one half at a time so I don’t have any “overflow” accidents with the blender. 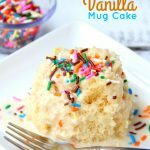 I often split the batch into two separate containers before freezing if I’m just making it for our family. 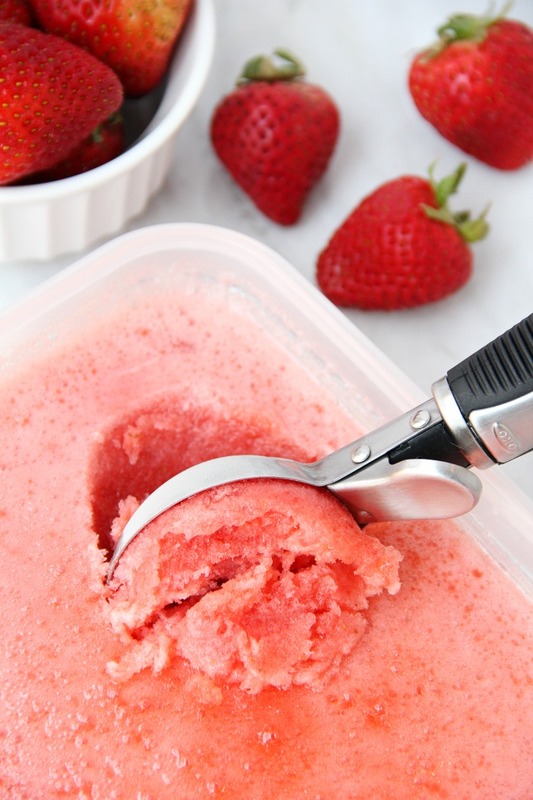 You can freeze the slush for up to three months, so go ahead and make a couple batches if you’d like. I guarantee you’ll drink it up quickly. The frozen slush is highly concentrated. I dare you to drink it with no “wash.” You’ll pucker up for sure! Normally with any slush, you’re going to want to mix it with something. I use lemon lime soda but you could easily substitute ginger ale or club soda as well. So, after going on a couple cruises and enjoying a few all inclusive hotels in the past several years, I’ve learned that a frozen drink is NOT considered legit unless you include an umbrella pick. . .and some fresh fruit. . .and some fun candy. Okay, so the candy part I added in, but I just had to. I was at Walmart the other day and ran across this NEW MIKE AND IKE Mega Mix Sour candy (exclusively at most Walmart stores). If you’re serving this slush indoors, sometimes it’s a nice touch to add a spoon straw to the glass so guests can sip and scoop. If you’re serving this outside and it’s a nice, sunny day, plop a fun straw into the drink. The slush will most likely “melt” quicker outside so it will be easier to drink through a straw. 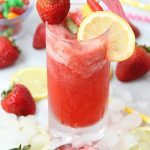 Now listen, even if that summer BBQ you’re planning isn’t for a couple weeks yet, you can make this pink lemonade slush ahead of time! 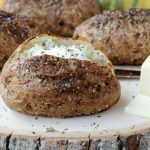 Heck, make a couple batches and put them in your freezer. 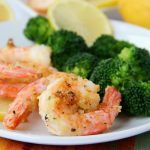 Summer is all about convenience food and easy prep. 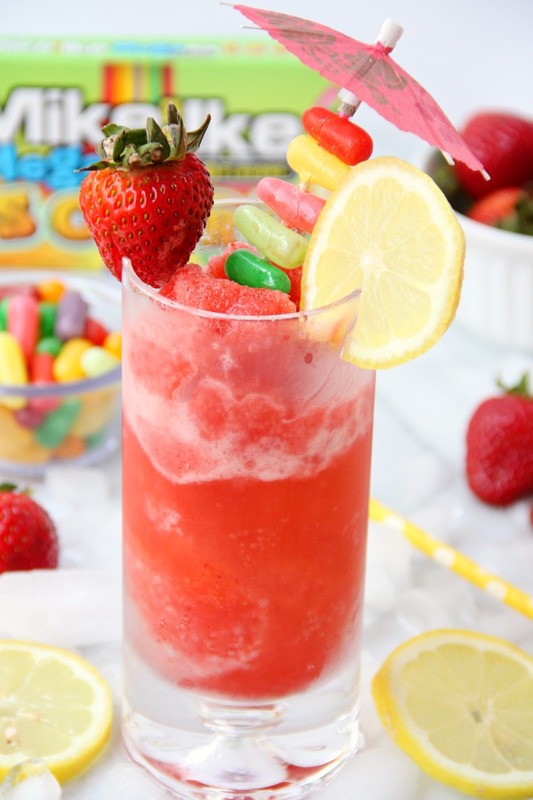 This slush recipe checks both boxes for sure! Enjoy! A sweet, tangy and refreshing drink perfect for family gatherings and celebrations. 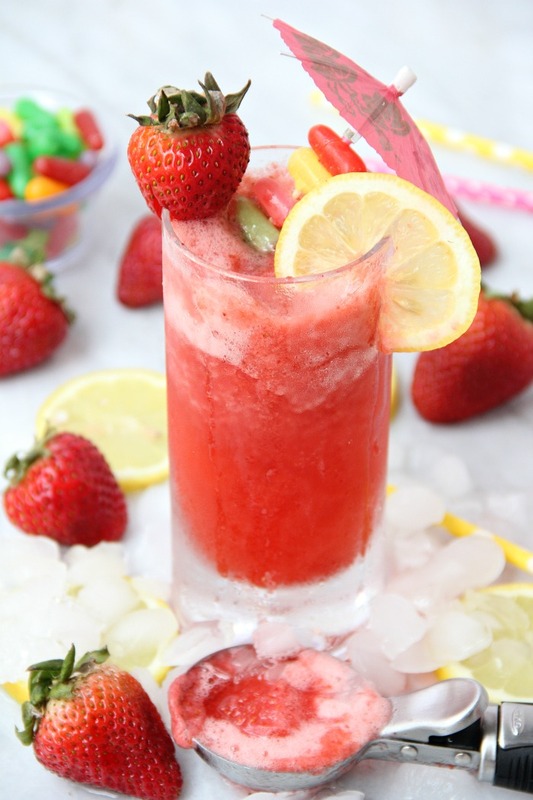 In a blender, combine 3/4 cup pink lemonade concentrate, 3/4 cup water, half of the strawberries and 1 cup ice cubes. Pour contents into a freezer container. 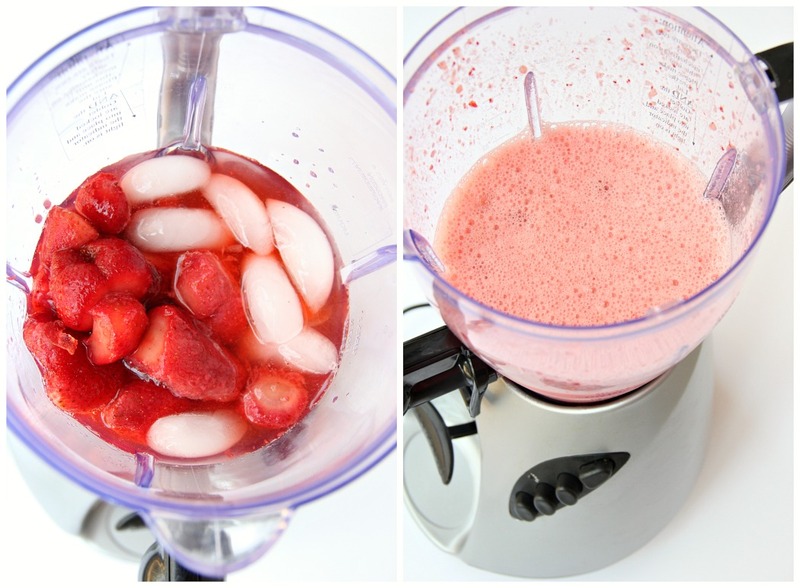 Repeat step 1 with the rest of the lemonade concentrate, water, strawberries and ice cubes. Pour contents into the same freezer container or a separate container if you’d like to divide the batch. Cover container(s) and freeze for at least 8-12 hours. 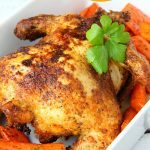 Let stand at room temperature for 30 minutes – 1 hour before serving. Fill chilled glass 3/4 full with slush. Top with lemon lime soda. 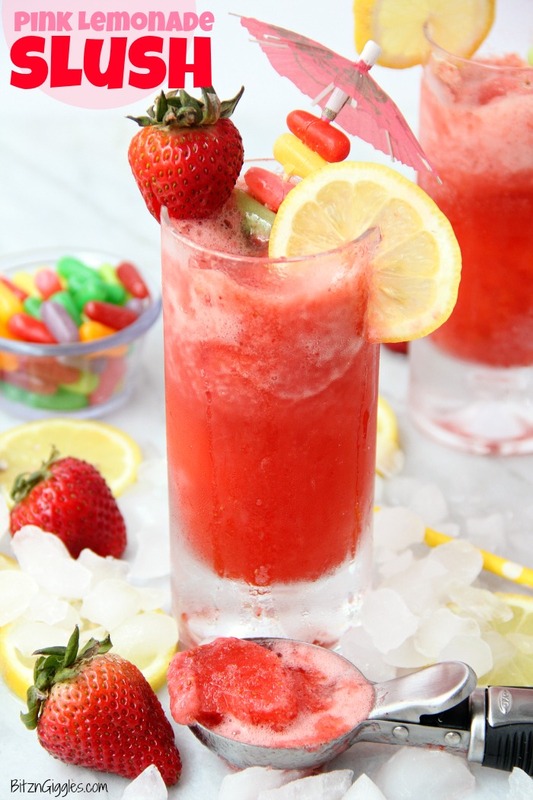 Slip 4-5 Mike and Ike’s MegaMix Sours onto an umbrella pick for garnish along with a fresh strawberry and lemon slice. The full batch will be enough for 8 12 oz. glasses.